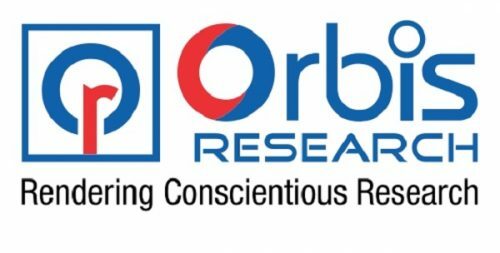 Exhaustive Study for “Amazon in the Global Online Retail Market” Research Report is added on Orbisresearch.com database. The report covers the market landscape and its growth prospects over the coming years. Also includes a discussion of the key vendors operating in this market. “Amazon in the global online retail market: Market size and shares 2016 & 2017″, provides an overview of the Amazon’s position in the global online market, its share and sales in the global online market in 2017, its major markets and competitive landscape. – Share of the global online retail market in 2017?? – Share of online retail sales by country in 2017?? – Retail sales online in its Top 10 markets? – Fastest growing markets in 2017? – Major product sectors by sales? – Amazon accounted for 9.5% of total global online retail sales in 2017 and its largest share regionally is in the Americas where it has a 13.6% share. – The US, its home market, is its major market where it generates US$57.1bn of retail sales online and has a 14.8% share of total online retail sales. – Its Top Five markets are USA, Japan, Germany , UK and China – but while it commands market shares between 17% and 14% in the Top Four, it only has a 1.8% share in China where, though it has huge potential, it is up against major local operators. – Apart from underdeveloped markets in Bulgaria, Mexico and Saudi Arabia, its online market share does not exceed 18% and is mainly in single digits. However it was the number one online retailer in 23 countries in 2016. – The majority of its sales were in what we class as ‘other’ categories – such as books, music, video (its initial products) but electricals led in 2016, then clothing & footwear. Food & grocery is its smallest sector by sales, but this is set to grow fast as it expands its physical presence as well as online businesses in this sector. – Walmart’s total global retail sales give it a major lead on Amazon, but as Amazon expands its physical space and grows sales in the largest sector, food & grocery, it will narrow the gap, and its lead over Home Depot in third place will widen. Seedcom-Backed Cau Dat Farm Brings Smart Technology Into Vietnam Agricultural ProductionVietnam ride-hailing app FastGo raises US$50 million in Series B to take on Grab, Go-JekTNG FinTech makes second acquisition, buys Indonesian payment startup WalletKuTravelstop raises US$1.2 million seed round to bring Business Travel Management to SMEs in Southeast AsiaThis story has been removed.